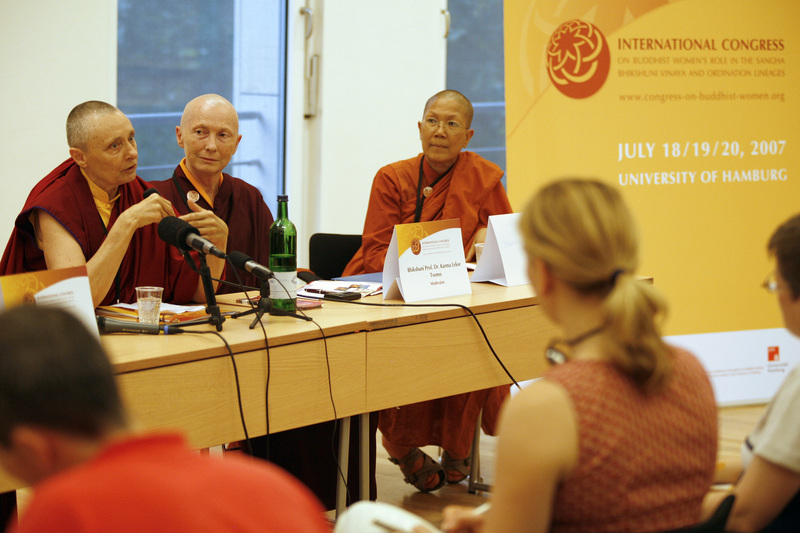 We should make ourselves aware that today about three million Buddhists are living in Europe. Thus it seems fair enough to think about solid and effective possibilities European Buddhist teacher training, not in order to do missionary work, but to ensure certain quality standards for spreading wisdom and compassion. how to train a) Buddhists who teach in Buddhist centres, and b) Buddhists who teach in schools/public institutions etc. What are the problems Buddhist women are confronted with? This is my main focus today. In large parts of Asian societies Buddhist women are still seen as inferior to men. In many traditions women are encouraged to make prayers for a male rebirth, and men pray not to be reborn as a woman (there seems to be even a special mantra for that purpose). Within the traditional Buddhist system, women—nuns as well as lay women—still do not have the same chances and possibilities of Buddhist teacher training as men have. For around the last 1500 years, starting with Nālandā, the largest Buddhist University in ancient India (founded in about the 5th century), the main Buddhist teacher training took place in monastic environments and thus was largely restricted to monks only. With growing democratic influence worldwide, societies in Asia too have changed since the beginning of the last century. In countries such as Japan, Korea, Taiwan and China but also in India, Sri Lanka, Thailand, and Myanmar, Buddhist education systems have been adapted to international education standards. 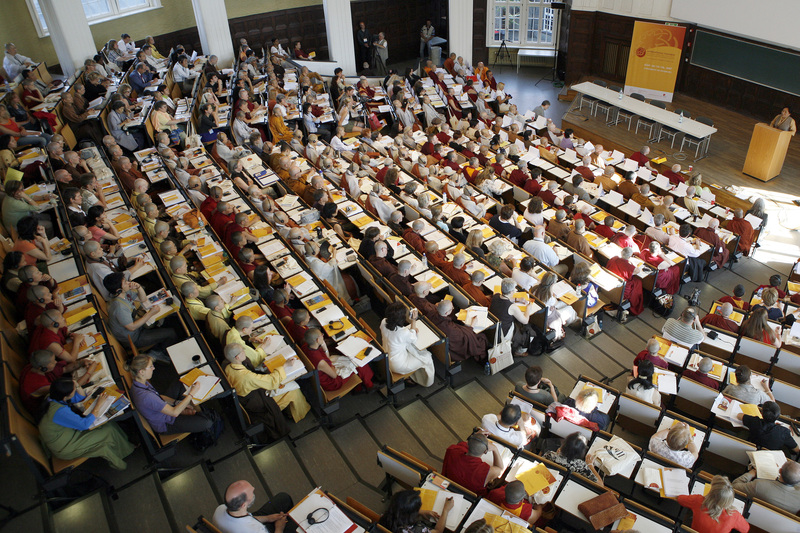 Buddhism can be studied at many state universities now, where women and men—whether ordained or not—can obtain a BA, MA and PhD in Buddha Dhamma1. Some renowned Asian professors have been trained at European universities. Here they are mainly interested to learn the different ways of historical critical research and the methods of Buddhology. Thus, in Asia a kind of “theology” has already been introduced, but with regard to the methodology it is not fulfilling international standards yet. Because of these study possibilities, many of those women, who still are denied equal access to Buddhist education in the traditional monastic system, have become well qualified teachers of Buddhism at Western universities. But the power of ritual and institutional leadership is often—depending on country and tradition—still with monks only. Therefore it is still true that women’s institutional place in Buddhism is inferior to men’s. In the West, such sexist attitudes are no longer accepted. Therefore one of the questions we have to deal with is: How can we adapt Buddhism for Buddhists living in European societies? Let’s go back to the main topic of the conference now. What do we mean by ‘Spreading wisdom and compassion in European Societies’? How and where do we train in wisdom and compassion and by which means do we want to teach or spread wisdom and compassion? learning to meditate in order to gain insight into the real nature of things. Such practical training, however, that can also benefit non-Buddhists is still very rare to be found at universities. Based on empirical and other scientific research, some techniques, mostly secularized, already find admission via the faculties of psychology, gerontology, education, and sports. Mindfulness and other meditation practices are taught at schools and universities, in the United States more often than in Europe. But there are also complaints about poor quality control. Thus the question of a kind of certification of teachers in mindfulness and meditation came up. In Buddhist centres too the question of where and how future generations of teachers should be educated becomes increasingly urgent. What we need are teachers who are competent to meet with the requirements of our Western/European context. Therefore, instead of sending young Europeans to Asia, in order to get trained there, we should focus on developing adequate training programs here. When we look to Islam, which has been in Germany for some years now, a widespread debate has been launched about whether Muslim imams should be trained at state-funded universities. And how about Christianity? Can you become a Christian priest at university? Yes and no. This question needs some clarification. What is meant by this? In Germany, you can become a theologian including the study of so-called practical theology where you learn about liturgy, sermons and pastoral care. After you have finished your MA studies, you can join a Christian parish and gain experience of putting such learning into practice. So you do not become a priest at university, but you become a priest due to your additional training in the parish. That’s why I think it is worth considering whether European Buddhist teachers could receive their basic education at European universities too, funded by the respective states. And if so, whether it wouldn’t be time to consider together what such training might look like. In Europe, in those countries where the state provides Christians—and now also Muslims—the possibility to study theology in order to become a teacher of religion at school, Buddhists should have the same possibility. Based on the legal principle of equality, such studies could have a special focus on practical Buddhist “theology” or engaged Buddhism including pastoral care, various forms of counselling in the field of health care, social work, prison work and psychotherapy. There is already some know-how we can build on. 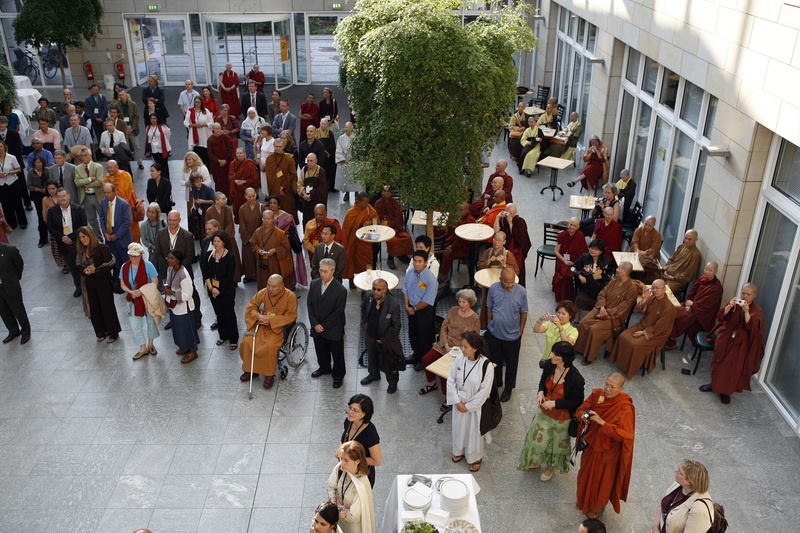 The European Buddhist Union has started collecting resources on prison chaplaincy. 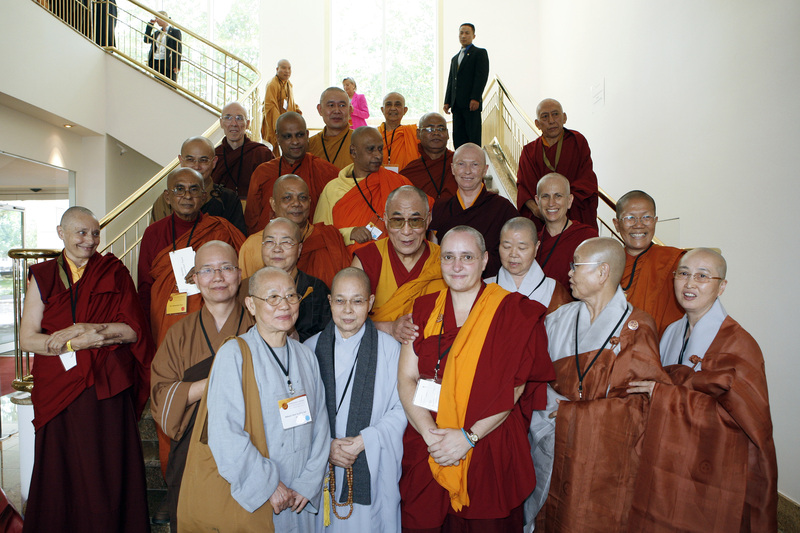 The American Sravasti Abbey Nuns Community started their Prison Outreach in 2009. They work with prisoners put on death row. It would be beneficial if Buddhists would qualify in professions where Buddhist ethics can have the best impact. I am thinking about professions where they assist the sick and dying, care for orphans, or work among prisoners. Thus Buddhists could not only help the people who suffer from illness, poverty or social oppression, but also become engaged in the protection of the environment and animals, and last but not least, they could actively commit themselves to peace, justice, and social transformation inspired by loving-kindness and compassion combined with wisdom. Thus we need to ask: What are the requirements to ensure the success and benefit of such an ambitious undertaking of ‘Spreading wisdom and compassion in European Societies’? What are the underlying attitudes and goals? Whom are we going to teach and how? There is one more aspect I would like to mention at the end of my contribution: Before we spread wisdom and compassion we should analyze how far the understanding of these terms overlaps in the various schools of Buddhism. What do we have in common, and where do we differ? We should try to find common ground and speak with one voice and use the same terms, based on Sanskrit and Pāli, otherwise confusion is inevitable.